What do April's lower inflation readings mean for Fed rate hikes? What do April’s lower inflation readings mean for Fed rate hikes? 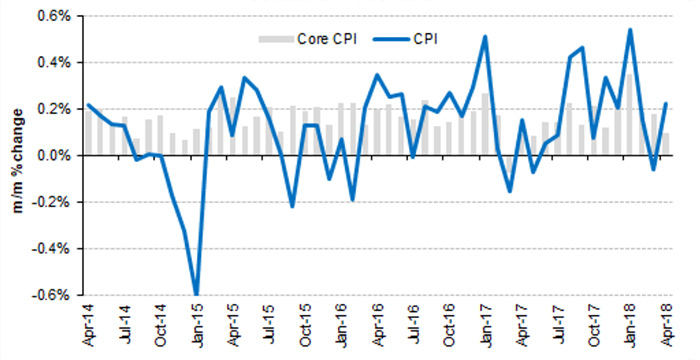 Several economic data points on inflation came in below consensus last week for the month of April. 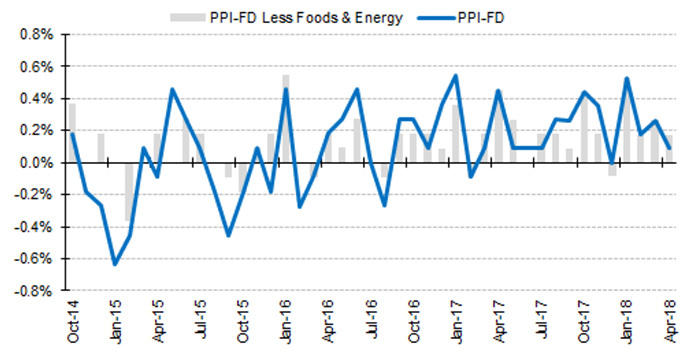 One notable reading was on overall wholesale prices, which saw relative declines in April versus the rate of change for March. The producer price index (PPI) for April came in with a headline increase of only 0.1%, well below the consensus range of 0.2%–0.5%. Last week’s consumer price index (CPI) report also came in lower than expectations, showing an increase of only 0.1% versus expectations of a 0.3% gain. Gasoline prices were one of the exceptions, with a yearly rate of change of 13.4%. Overall, April showed a 2.5% rate of annual change in consumer prices, which matched forecasts. See Related Article: Will spiking oil prices impact the U.S. summer driving season?